Here are a couple detail shots. I did a lot of thread painting, trying to give it more depth. 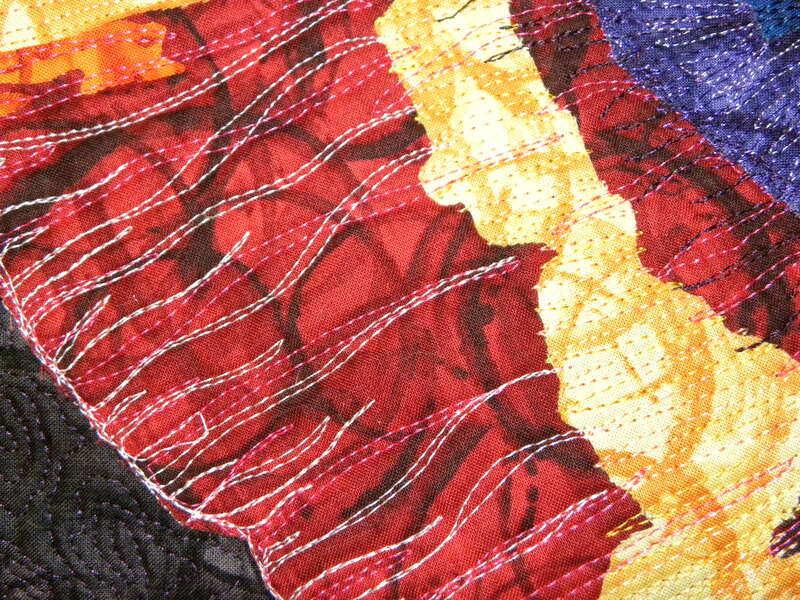 I find free motion quilting meditative…it’s like doing yoga. 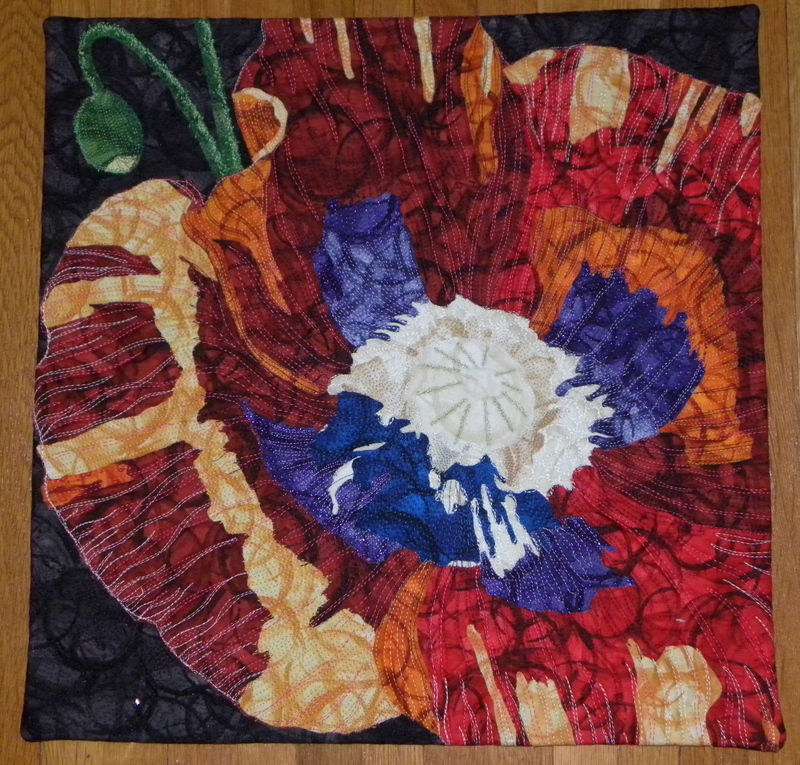 I loose myself in the stitching and then it’s midnight….where did the time go? Very cool Karen! 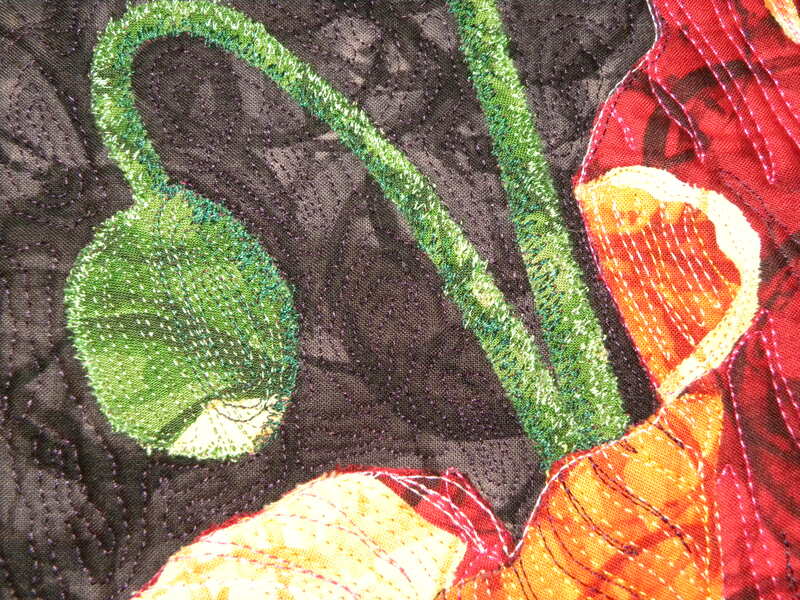 Love the thread painting.